Why outsource to Latin America? Universities have robust IT programs and yield enough programmers to easily grow an employee base. Software outsourcing to countries in Latin America has grown tremendously over the past decade. Software development in South America, Mexico and countries in Central America are providing broader and deeper service options than ever before. While hourly rates tend to be higher than other global regions such as Asia or Eastern Europe, outsourcing your software to Latin American countries remains a bargain compared to fully-burdened labor costs in the US. 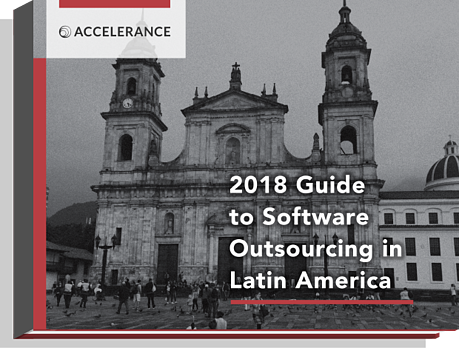 The 2018 Guide to Software Outsourcing in Latin America provides up-to-date insights for companies considering Latin America as an outsourcing destination. You’ll need to be selective when choosing which country to outsource software development. We’ve reviewed and traveled to countries all over Latin America to conduct deep on-site assessments of the top software companies. Software outsourcing readiness is more than just technical skills, it’s comprised of a variety of factors that include English proficiency levels, higher education and training, economic circumstance, more. Check out each country for more details about Latin America software outsourcing.